Today, the NASCAR Truck Series was first to the track at Talladega Superspeedway. They engaged in two practice rounds ahead of qualifying. View 2018 Talladega truck practice results below. Justin Haley was quickest in the opening round of Talladega Truck Series practice with a 49.490. Haley was also quickest in 10-lap averages. On the reset, Spencer Gallagher won final practice with a time of 52.927. Times from both practice one and final practice are posted. In addition, 10-lap averages are listed as well. 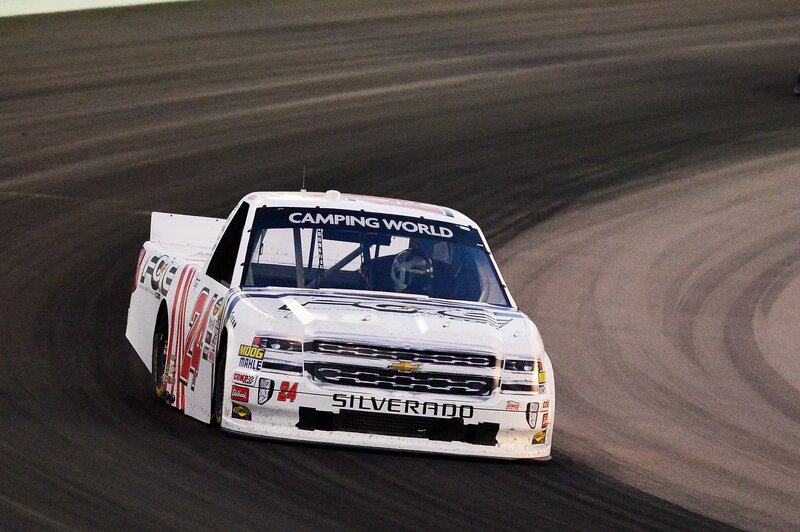 The NASCAR Camping World Truck Series will return to the track for qualifying later this afternoon. Only 8 drivers made a lap of 10 consecutive laps in practice one for the Trucks at Talladega. There were no drivers that turned 10 consecutive laps in final practice for the NASCAR Truck Series at Talladega Superspeedway.